Maiden’s Tower in Istanbul is a lighthouse-style tower standing on a small island at the entrance to the Bosphorus Strait. Although a tower has stood here for hundreds of years, this incarnation is best known for its starring role in the Pierce Brosnan James Bond movie, ‘The World Is Not Enough’. The tower acted as a secret hideaway for a nuclear submarine and much of the end of the film was set here. Sadly, the underground dock doesn’t actually exist but you will recognise the exterior and some of the interior of the tower too. 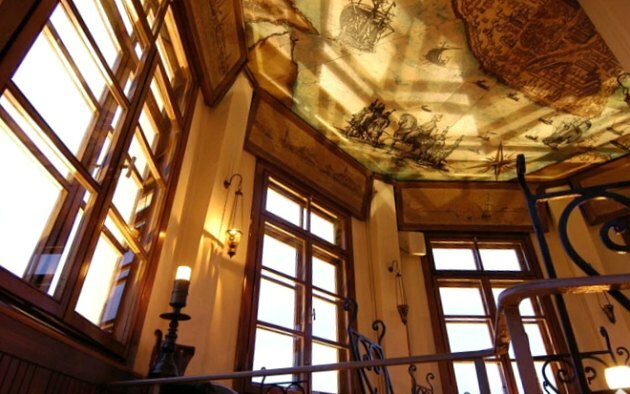 The tower actually houses a cafe and a restaurant which looks out on all sides over the rest of Istanbul. Although the real reason for the existence of a tower here was military purposes, there is a much more exciting legend that locals will tell you which explains why it’s known as the Maiden’s Tower. The story goes that an emperor locked up his daughter in the tower to keep her safe from a prophecy that said she would die by her 18th birthday. 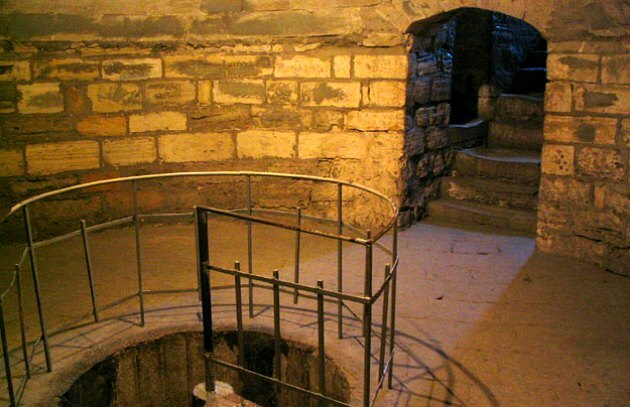 The tower was built to protect her and she was visited regularly by her father. When she reached 18, he delivered a basket of fruit to her in celebration, but a venomous snake had hidden away inside and when it bit her, she died in his arms. We enjoyed our visit to Maiden’s Tower, but waiting for passage across and back makes it a lengthy experience. You may prefer just to see it from the shore if you are limited for time. 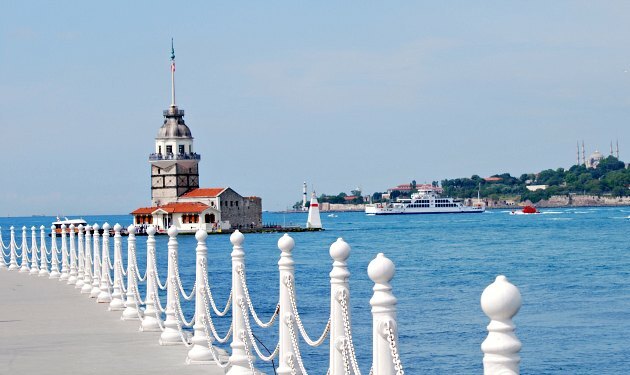 Maiden’s Tower is open daily from 10am to 6.45pm. The restaurant is open from 8.15pm to 12.30am. Boat transfers cost around 20TL (2016 prices). If you’d prefer to see the tower with a guide, consider the Istanbul Afternoon Tour with Maiden’s Tower. 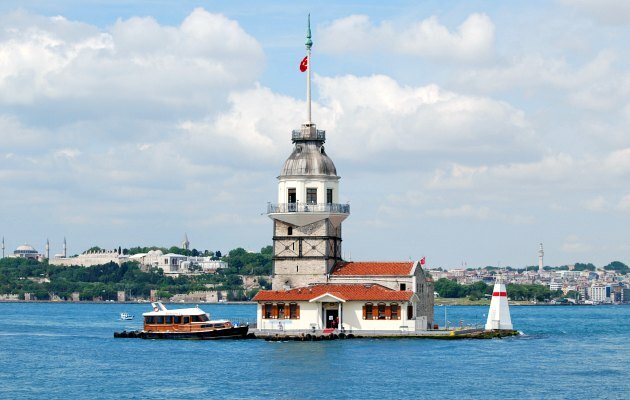 Maiden’s Tower is a short walk from the Üsküdar Marmaray station on the Asian side of Istanbul. Boat transfers take place regularly from the shore to the tower.